Observe the steps of pollination and fertilization in flowering plants. Help with many parts of the process by dragging pollen grains to the stigma, dragging sperm to the ovules, and removing petals as the fruit begins to grow. Quiz yourself when you are done by dragging vocabulary words to the correct plant structure. 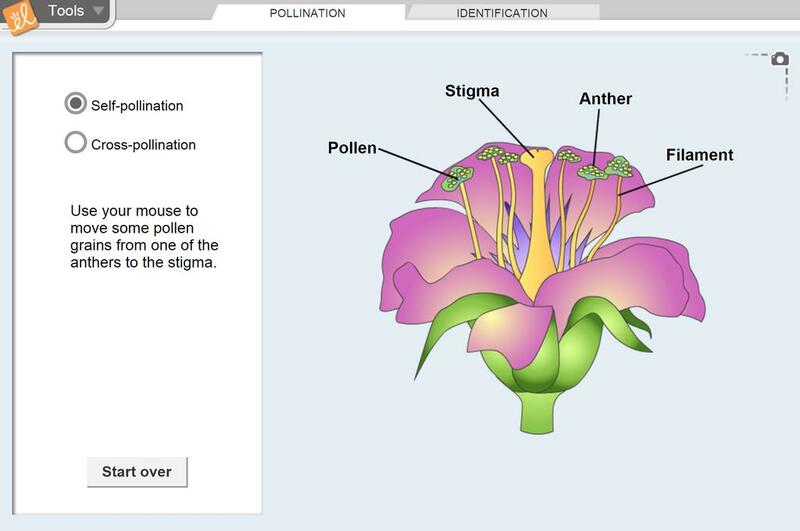 Identify the parts of a flower and explain their functions. Describe the steps of plant reproduction. Explain the function of a fruit. Students really enjoyed this Gizmo! This is a great visual resource. My students enjoy using Gizmos. Students really like this Gizmo , next to hands on examination. Students really enjoyed it. Great in conjunction with growing fast plants. A great visual for my ESL learners to have something to refer back to when trying to match-up their vocabulary!